Super cool hostel! 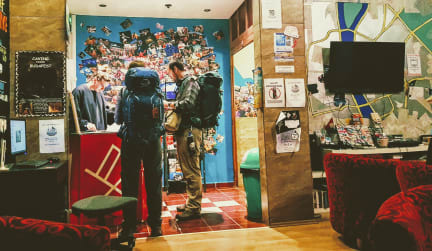 The staff are always in for help or tips to explore the city and the atmosphere in the hostel is really chill and nice. Also nice activities organised by the hostel We definately will come back! Great hostel, the beds are comfortable, the staff is super helpfull and there is a great atmosphere. 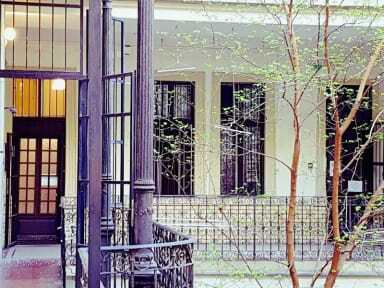 The hostel is situated in a party area but it is not a party hostel. So that makes it nice and quiet at night. There is a common movieroom and kitchen. Perfect for the solo traveller and also the staff is super nice and helpfull. Would defenitely recommend this hostel! Had a great stay, couldn't think of any points for them to improve on sadly enough. Would recommend staying with them. This hostel is definitely worth going to if you want to party, but it is also the perfect place if you want to stay in. The staff is amazing and super friendly, they will help with everything and anything. Also, the hostel is very clean and the beds are comfortable. I had an amazing stay at Meander and would definitely recommend this hostel! The staff is super friendly and awesome. I met some wonderful people during my stay. The beds are comfortable and clean and even if you are in a 10 bed dorm it does not feel like that because you have a lot of space. Lots of cool activities are organized for good prices and they offer very good tips and advice on food places to go. Very central and near many sites. Absolutely loved my stay and Budapest in general. Great staff, great vibe! This was my second stay at meander because of the good experience I had last year. Lovely staff, all travellers themselves, they know the city well and organise loads of activities. The dorms were clean, bathroom/showers are a bit old but they work fine. Big rooms with enough space in between the beds. Staff was nice. Kinda hipster or relaxed atmosphere. Beds were ok but not great. While sleeping it was calm in the hostel. Only one shower and toilet for 10 people is not a lot. But never had a big waiting line.